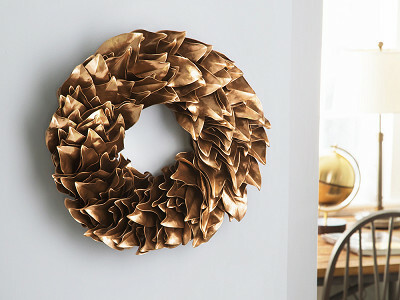 The Magnolia Company’s lacquered magnolia wreaths are décor that breathe new life into your space, and are eye-catching and easy to care for. Each wreath starts its journey at the Underhill family farm in Barberville, Florida. 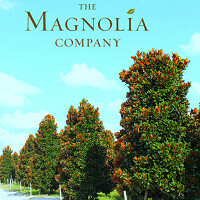 There, the magnolia leaves are handpicked, dried, painted, and lacquered with a high-gloss finish. The leaves’ large size and unique shape deliver major visual impact. And the lacquer locks the leaves in place, so there are no falling or dead pieces to pick up. 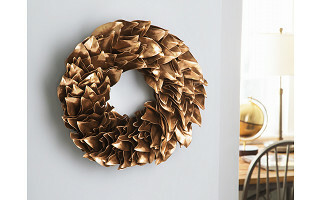 The wreaths are meant for indoor use, and come in an array of colors to brighten up your space year-round. With proper care (in a nutshell: out of direct light and no moisture), they can last for years. What will the product look like once it dries? The leaves will change their color depending on the intensity of sunlight and heat. 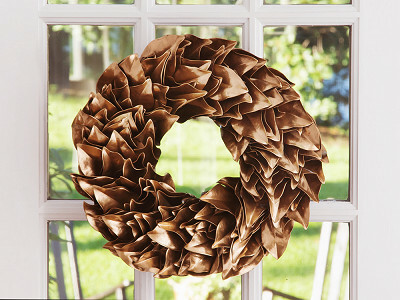 None of the leaves will shed but rather dry into a beautiful home accent decoration for all seasons. 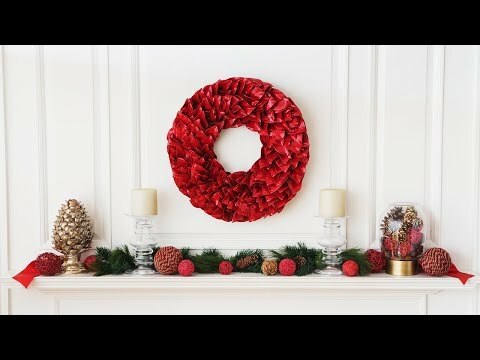 How long will the wreath last? A magnolia wreath will last for a minimum of 4 years if cared for appropriately. Those items, which are seasonal, are best for one season only. It can remain on the wall inside your home or placed in the Magnolia Company box and stored in a cool dry place once the drying cycle is completed. Can I spray it with water to extend the shelf life? 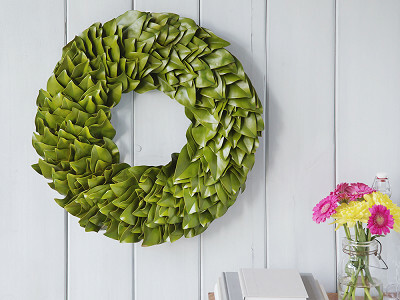 A magnolia wreath does best if hung out of direct sunlight. Spraying it with water will not extend the shelf life. In fact, it will damage the wreath. Can Magnolia Wreaths be hung outdoors? Yes. However, exposure to direct sunlight will cause the colors to fade.